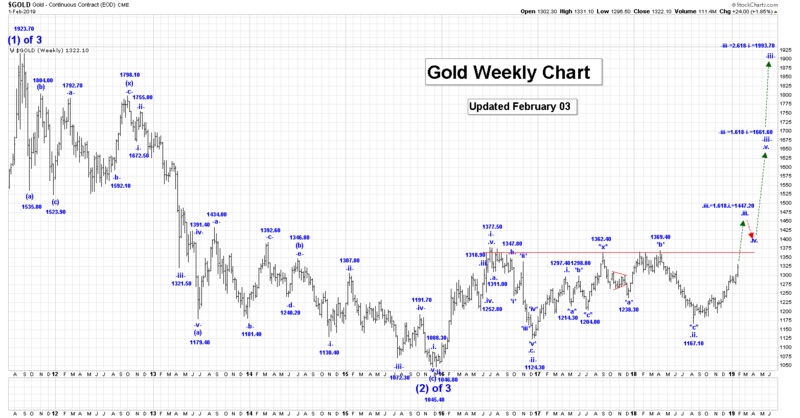 Gold was sharply higher this past week and we reached a high of 1331.10! We continue to rally in a larger subdividing wave !iii! of $iii$. Within wave !iii!, we believe that all of wave ?iv? of !iii!, ended at the 1275.30 low and that we have now started to move sharply higher in wave ?v? of !iii!. Although we have a projection for the end of wave ?v? and !iii! at the 1358.00 level, we have now satisfied the minimum requirements for a completed wave !iii! at the current high of 1331.10. Once we !iii! ends we expect a wave !iv! correction that should retrace between 23.6 to 38.2% of the entire wave !iii! rally. .iii. = 1.618.i. = 1447.20, but we also have higher projections. Active Positions: Long with puts as stops! 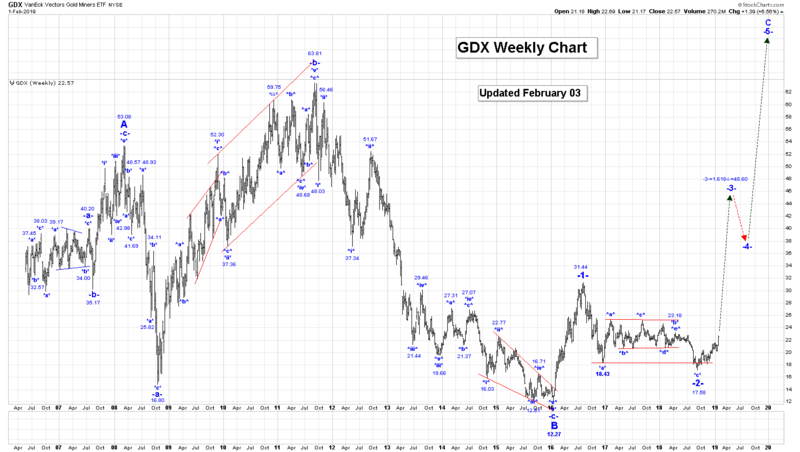 The GDX was sharply higher this past week! We reached a high of 22.69. 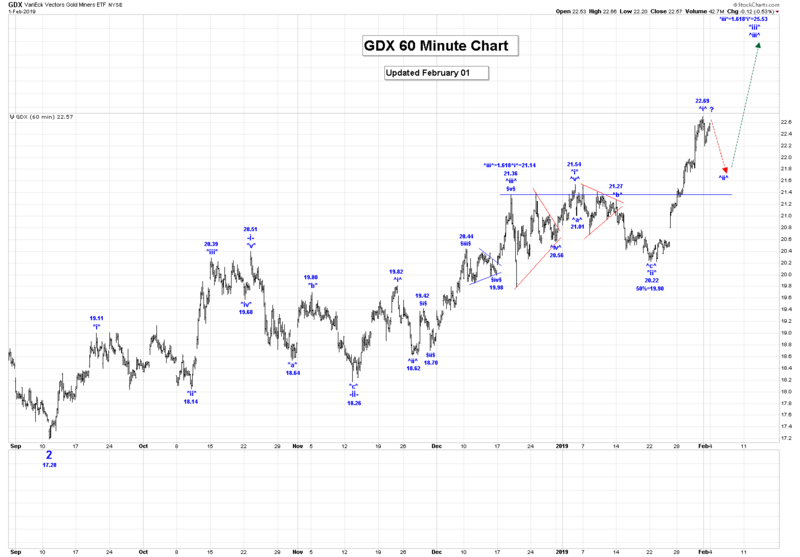 The sharp rally in the GDX this past week eliminated our short-term consolidation count with the wave *iv* triangle, and that increased our big picture bullishness. Out updated count is much more bullish as we believe that we are now working on wave *iii* of -iii-. Within wave *iii*, we should be getting close to completing wave ^i^ of *iii*. This may have occurred at the 22.69 high. If that is the case, then we should expect a drop in wave ^ii^ that retraces between 50 to 61.8% of the entire wave ^i^ rally. A major low in all gold stocks and related indices has occurred, and Captain Ewave subscribers are encouraged to position themselves accordingly. 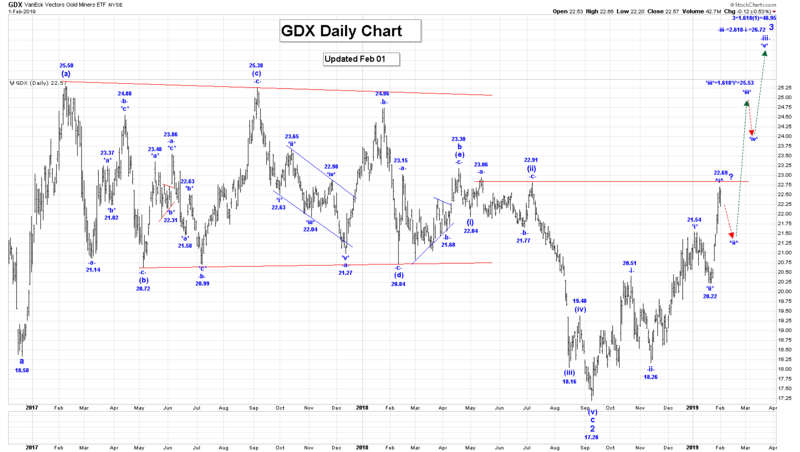 Active Positions: We are long the GDX, ABX, KGC, NEM, SSR, and TSX:XGD… with no stops! Free Offer For 321Gold Readers: Please send me an Email to admin@captainewave.com and I’ll send you our key “Junior Miners Wave Counts & Targets” report! We focus our wave counts on the important CDNX venture stocks index. We include tactical approaches to make money on the current wave counts action!